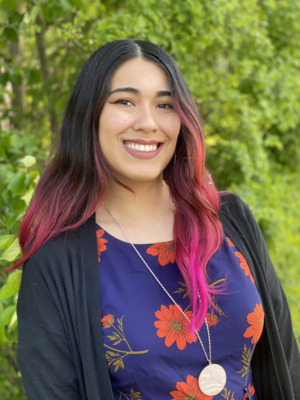 As a graduate student, Danielle Orozco's research interests include U.S. ethnic studies and pop culture and film. She studies twentieth- and twenty-first-century multicultural texts with an emphasis on Latinx, Native American, Asian American and African American literatures. She is also interested in science-fiction and horror and how these speculative genres conceptualize the body as a way to generate discourse about race, gender, sexual orientation, citizenship and identity. She is currently a graduate teaching associate and a fellowship mentor for LASER (the Latino and Latin American Space for Enrichment and Research).